10 Gifts to Grow Points Available! Here is a new 10 point code for Pampers Gifts to Grow program. If you haven’t signed up yet, you should. Each person who signs up gets 100 points. This is a great way to get your account going fast. Get your free Pampers Gifts to Grow account now! We haven’t seen GTG points in a while. Here is a new 10 point code for you to use! Sign in or sign up for the Pampers Gifts to Grow program to start earning rewards. New members get 50 points just for signing up. Here are several new codes for Pampers Gifts to Grow. If you haven’t signed up yet, you should. Get your free Pampers Gifts to Grow account now! Pampers has some great gifts to redeem with your points. If you’re new to Gifts to Grow, check out my post about the Pampers program and sign up. Here is a huge 50 pt. code for Pampers Gifts to Grow. This code is only valid today, April 14th. If you haven’t signed up yet, you should. Get your free Pampers Gifts to Grow account, now! They are offering a 100 point for new members. Offers Apr 14, 2011 in baby, giftstogrow, Pampers · Expired! Here are a couple new code for Pampers Gifts to Grow. If you haven’t signed up yet, you should. Get your free Pampers Gifts to Grow account, now! They are offering a 100 point for new members. New Pampers Gifts to Grow 50 pt. code! 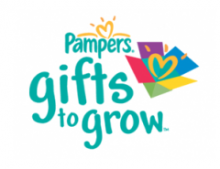 Here is a new code for Pampers Gifts to Grow. This is a great one worth 50 pts! If you haven’t signed up yet, you should. Pampers has some great gifts to redeem with your points. If you’re new to Gifts to Grow, check out my post about the Pampers program and sign up. New Gifts to Grow Points! 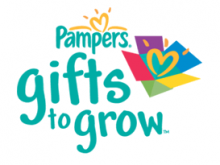 Here is a new code worth 42 Pampers Gifts to Grow points! If you haven’t signed up yet, you should. Pampers has some great gifts to redeem with your points. If you’re new to Gifts to Grow, check out my post about the Pampers program and sign up. Here are a few new codes for Pampers Gifts to Grow! If you haven’t signed up yet, you should. Pampers has some great gifts to redeem with your points. If you’re new to Gifts to Grow, check out my post about the Pampers program and sign up. Here is a new code 100 point Pampers Gifts to Grow code! This offer is only good for TONIGHT! If you haven’t signed up yet, you should. Pampers has some great gifts to redeem with your points. If you’re new to Gifts to Grow, check out my post about the Pampers program and sign up. Offers Dec 14, 2010 in baby, giftstogrow, Pampers · Expired!